Want to learn more about diabetes? 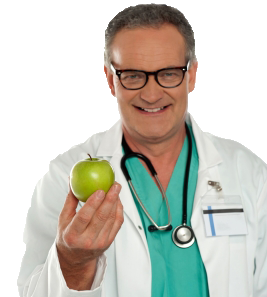 Our affiliates offer a variety of products to help you to understand diabetes and live a healthy life with it. Healthy Living with Diabetes One Small Step at a Time by Nancy Heinrich. 60 pages in a handy small format to be carried with you as an easy reference. Employers are buying this book for their people, people are buying it for their friends and relatives, and for themselves. Special Discount for Diabetes Tutor visitors! 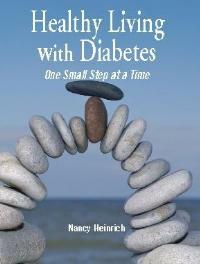 Purchase "Healthy Living with Diabetes One Small Step at a Time" by Nancy Heinrich for 50% off. Add Discount Code Diabetes Tutor to your shopping cart. Healthy Living, Healthy Eating, Healthy Diabetes - the first in a series of educational videos about food choices and meal preparation techniques for your plan to control diabetes (affecting 23 million Americans). If you have prediabetes (sometimes called "borderline" diabetes), if "sugar problems" run in your family, or if you have just been told those 3 little words, "You have diabetes", this is exactly what you need to get a handle on the carb thing (experts estimate that 57 million Americans have prediabetes). Special Discount for Diabetes Tutor visitors! 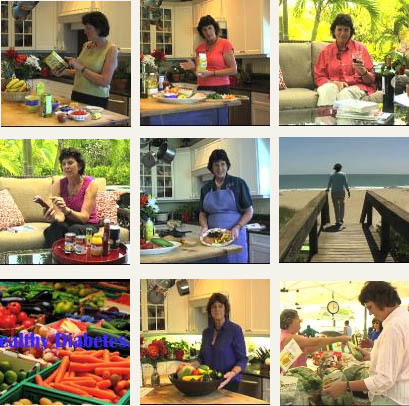 Purchase "Healthy Living, Healthy Eating, Healthy Diabetes" by Nancy Heinrich for 50% off. Add Discount Code Diabetes Tutor to your shopping cart.